Renault, Repco, Zagame Automotive Group and Carbar are the first confirmed for the inaugural Mumbrella Automotive Marketing Summit in Melbourne, set to take place two days after the Australian Formula 1 Grand Prix. To be held at the Sofitel Melbourne, Renault will be a significant talking point at the event in the wake of Australian Daniel Ricciardo making his Formula 1 debut for the brand and with the marketing campaigns that go with it. General manager of marketing and communications, Terri Golder, and marketing director Emma Pinwill, will take the stage to present the brand’s future plans, assess its current form and future gaze on whether the Ricciardo/Renault alliance will be a marketing win for the French manufacturer. Joining Renault in speaking is Repco’s Diana Di Cecco, general manager of marketing for ANZ. A brand synonymous with motoring in Australia, Di Cecco is charged with bringing it back to prominence, a job that started with a rebrand and partnership with the DJR Team Penske Supercar team. At the summit, Di Cecco will reveal the inner details of the rebrand, exploring the reasons why the time was right, how the strategic platform will help reinvigorate it and what the relevance of motorsport sponsorship is for the business. Also speaking is Zagame Automotive Group’s general manager, group marketing, Bella Katz. The business is the exclusive Victorian dealer for Aston Martin, Ferrari, Maserati, McLaren, Lamborghini, Lotus and Rolls-Royce. In her session, Katz will look at the relevance of the dealer brand in the ever-changing car-buying environment. 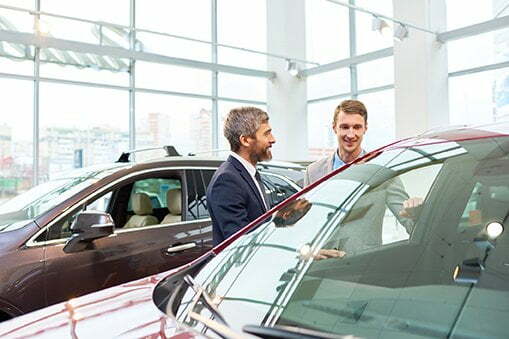 She will delve into how dealers react to buyers who have already made a decision prior to entering a dealership and what they can do to stay on top of the game in an increasingly competitive environment. She will also discuss the working relationship with manufacturers and where the dealer currently sits. In addition, Carbar CEO, Des Hang, will present a session about disruption in the automotive industry and why he believes Carbar can access an engaged market. The new car subscription service is looking to shake up the way that Australians have access to cars, something which arguably has not been successfully done yet. Key to his session will be explaining how Carbar’s marketing strategy will work and cut through to an audience not used to hearing about disruption in the automotive industry. The launch of the Mumbrella Automotive Marketing Summit, Melbourne, comes off the back of the success of the Automotive Marketing Summit in Sydney, which was held in August this year and attracted well over 400 delegates. Earlybird tickets to the March 19 summit are available now.